Tracks brainwaves and supports meditation. 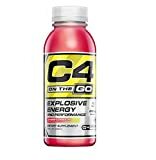 Minimizes stress and increases focus. Free Muse App available for download. Real-time feedback (end of session results and graphs). Accuracy not consistent, especially with low charge. Signal interruptions can lead toskewed results. The Muse app may take a bit longer to start. If you are suffering from anxiety issues or just looking to start meditation, Muse can be a worthwhile purchase thanks to a great concept and premium look and feel. By training, conditioning and enhancing your mind and guiding your thoughts through mindful practice, you can learn to adjust your mental activity to match what you’re doing. Ever felt as though you’ve no control over your own thoughts? Or having trouble sleeping worrying yourself sick over things that really don’t matter? Well, you are not alone, life can be stressful. Between paying bills, filling out tax returns, working and life in general, it’s almost impossible not to be stressed out. To make life less stressful, you can engage in outlets for releasing frustrations like taking breaks, exercise and Yoga. Meditation is increasingly gaining popularity as more and more people are looking for practical ways to combat their stressful and unhealthy lifestyles. Meditation can be a daunting prospect, especially if you’re doing it for the first time. Shutting off your brain and calming your thoughts sounds easy on paper but really it’s not. A lot of people have no idea if they are doing it right or wrong. Thanks to technology, you don’t have to feel that way anymore. Unless you’re living under a rock, you have probably heard of Muse headband by Toronto-based InteraXon. This revolutionary consumer wearable has been featured in most media outlets like GQ, Yahoo Health, the Wall Street Journal, LiveStrong and Huffington Post just to mention a few. Muse promises to assist you to get the most out of your meditation practice with some cool features. It can detect and read your brain activity and give you immediate biofeedback. Sounds like a great product, right? 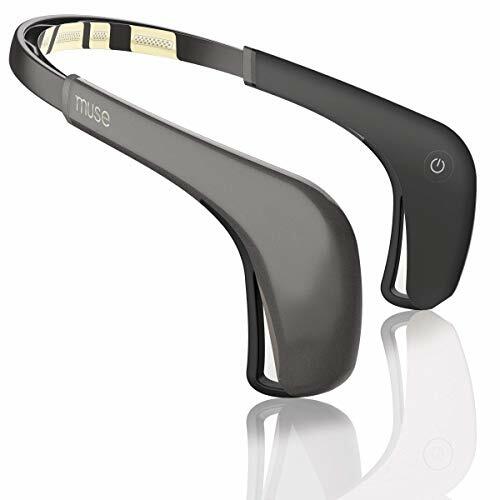 Keep reading our Muse Brain Sensing Headband Review to understand exactly how Muse works and whether it’s the right meditation helper for you. To help you understand how the Muse headband will help you let us first break down how it works. This personal meditation assistant monitors your brainwave activity in your state of calmness using 7 sensors and �rewards’ you with peaceful sounds for every successful state of tranquility. Soundscapes include Rainforest and Beach. 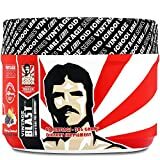 When your mind starts wandering, the headband emits louder and chaotic sounds to return you to a state of stillness and relaxation. This way, you will gain more confidence in your practice and see progress. to as reference sensors, these 3 sensors give context for the action in the more fundamental regions. The headband uses the electroencephalogram (EEG) Neurofeedback technology which scrutinizes electrical activity in the brain (spontaneous activities of neurons). Faster brainwaves mean more activity, while reduced brainwaves are an indication of a state of tranquility. You will receive detailed stats at the end of each session to track your progress. An accompanying Calm app that can be downloaded on App Store or Google Play store for free lets you analyze brain data. By reviewing your data, it will be much easier to set achievable goals and track your improvement. A session lasts for 3-20 minutes. Available in gray or black, this comfortable and lightweight (weighs less than 1 lb) headband has a premium design that features a sleek form factor. The age limit for this device is 16 years and the battery last for up to 5 hours after a full charge. PRO TIP: to improve the sensors’ receptiveness, users are advised to remove any make-up, avoid chewing or blinking and carefully wet the pads. Has7 sensors that use EEG technology to detect and measure brain activity. Milestones and rewards keep you motivated. Premium look and minimalist design. Some wearers have reported calibration issues. Muse is a useful tool for learning how to meditate. Without any feedback on your meditation journey, it can be daunting to know exactly what’s going on in your brain. The detailed analysis after every meditation session helps you to track your progress. The gamification elements can also encourage you to develop a day-to-day habit of meditation practice.